It’s been nearly a year and a half since the Bruce Lee-inspired action series was put into production, but the wait will finally be short for the upcoming Cinemax martial arts series Warrior and the Carla Gugino-led action drama Jett as the cable network has announced the premiere dates for both series. Cinemax picked up the straight-to-series drama, with an eye to start production on its ten-episode season this fall in Cape Town, South Africa. 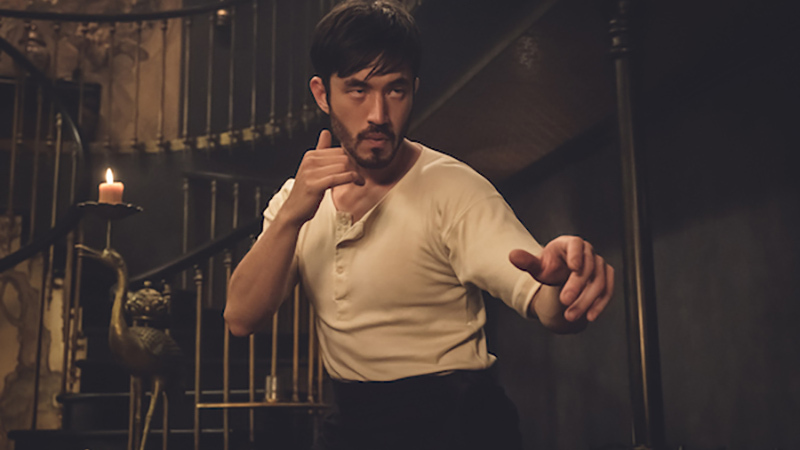 The show is inspired by an idea from Bruce Lee and created and executive produced by Jonathan Tropper (creator of Cinemax’s Banshee) under Tropper Ink Productions. Justin Lin and Danielle Woodrow will executive produce on behalf of Perfect Storm Entertainment, and Shannon Lee will executive produce for Bruce Lee Entertainment. Warrior is produced for Cinemax by Perfect Storm Entertainment, Tropper Ink Productions and Bruce Lee Entertainment and is set to debut on April 5 at 10 p.m. EST. Written by Sebastian Gutierrez (Gothika), Jett follows fresh out of prison, world-class thief Daisy “Jett” Kowalski (Gugino) who is forced back into doing what she does best by dangerous and eccentric criminals determined to exploit her skills for their own ends. Esposito is set to play Baudelaire, a powerful crime lord. Also joining the cast as series regulars are Giancarlo Esposito (Better Call Saul), Elena Anaya (Wonder Woman), Michael Aronov (Billions), Gaite Jansen (Suspects), Chris Backus (Bosch), Gil Bellows (Patriot), and Violet McGraw (Love). Recurring roles include Jodie Turner-Smith, Gentry White, Lucy Walters, and Mustafa Shakir. Gutierrez will direct the series as well as executive produce alongside Mark Stern, Stuart Ford, and Dana Brunetti. Stacey Levin will co-executive produce with Kathy Landsberg acting as line producer for the Global Road Entertainment produced project. Jett is set to debut on Cinemax in June.